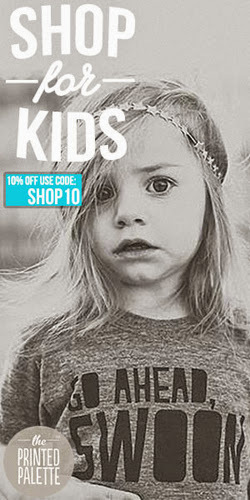 The Easter Bunny may not be delivering chocolates to the Little Man this year... no probably some clothes and baby food. YUP... he's eating his veggies already! 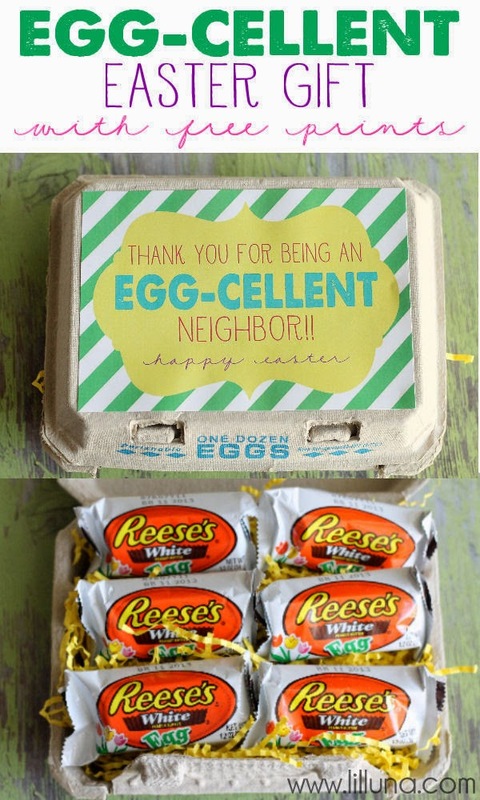 But just because the chocolate won't be hitting his basket this year, doesn't mean I won't be celebrating anways. 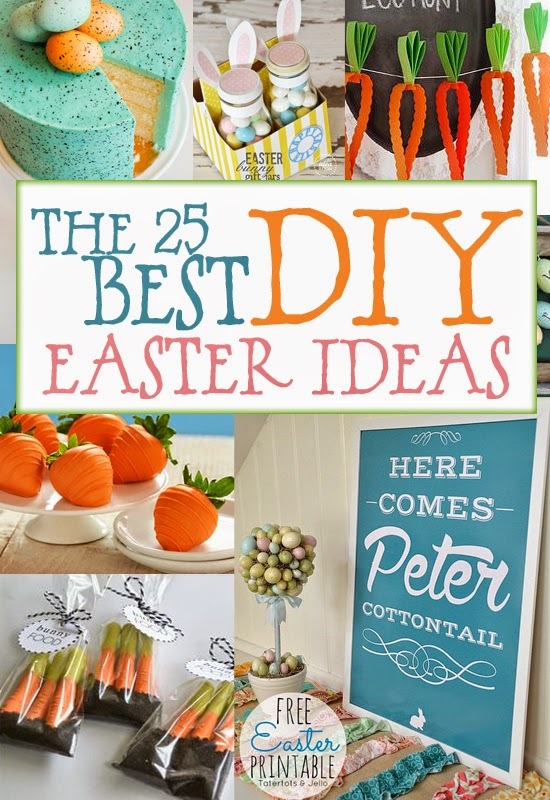 Here's a list of the 25 best DIY Easter ideas out there... well at least what I think to be! 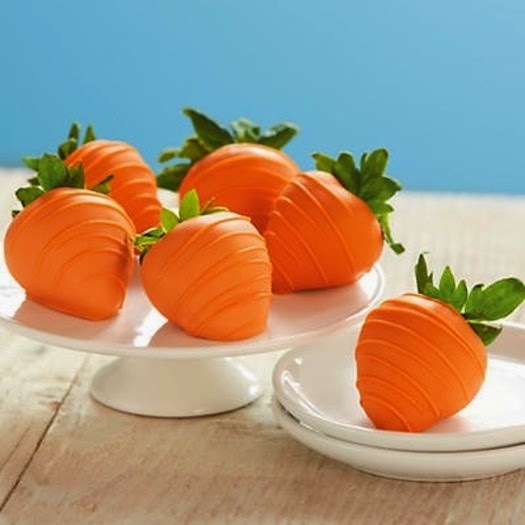 Chocolate dipped strawberries that look like carrots | harry & david. 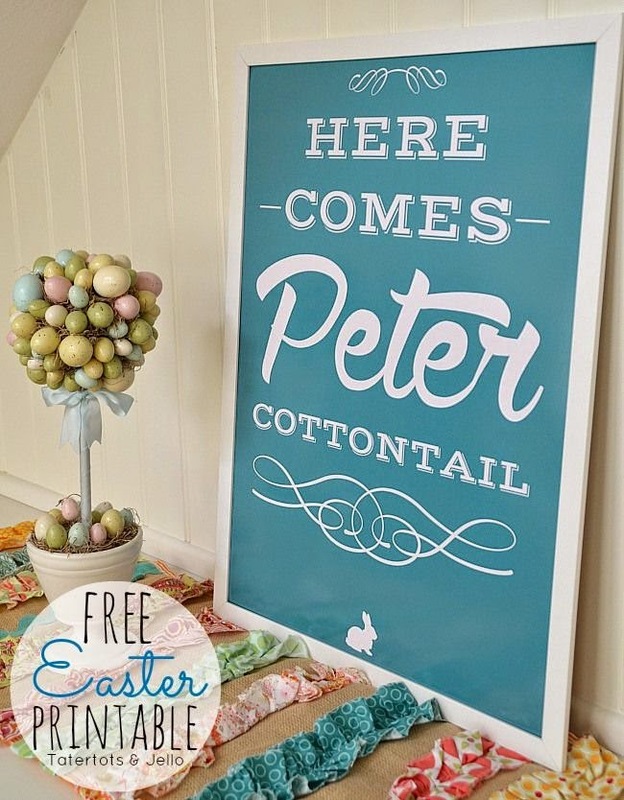 Easter Peter Cottontail free printable | tatertots & jello. Easter picture frame wreath from a creative princess. 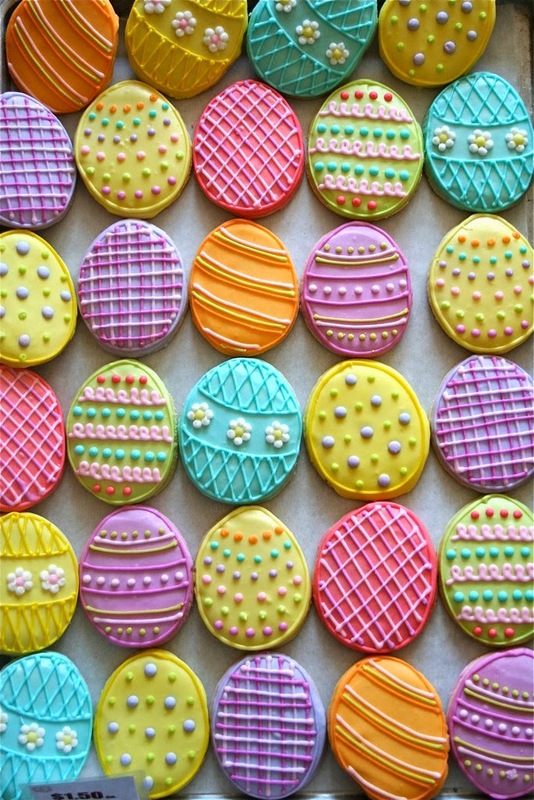 Easter egg cookies from benny's bakery. Easter mint blossoms from land o'lakes. 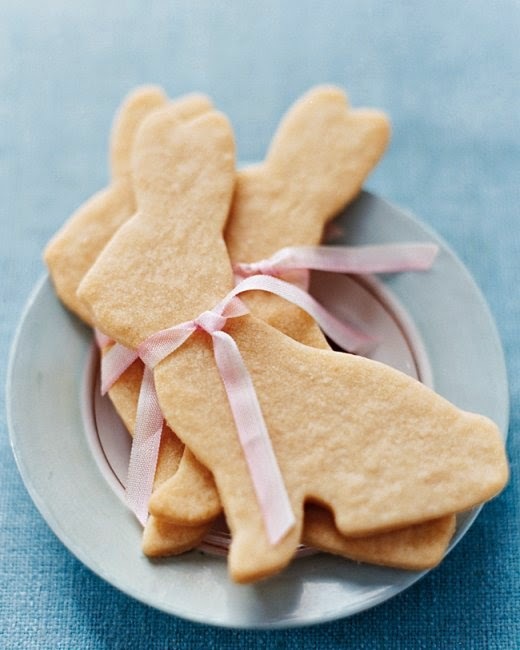 Sugar cookie bunnies from martha stewart. 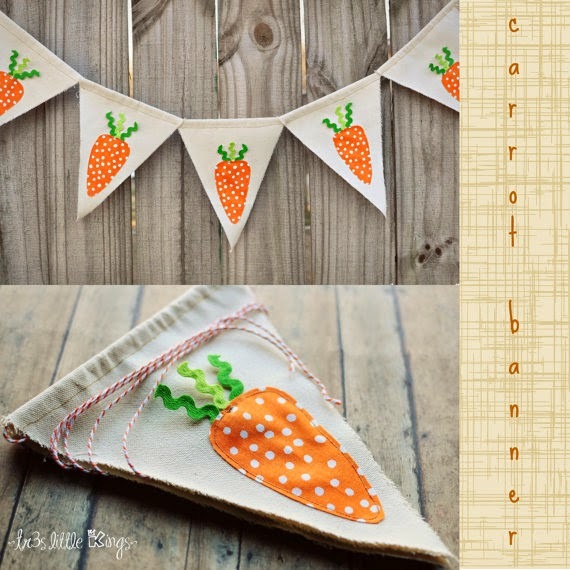 Easter banner with carrots from tres little kings. 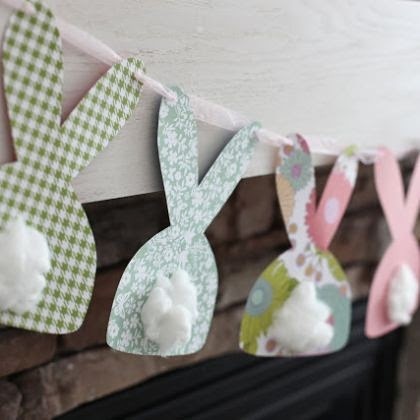 Easter bunny banner from pieces of me. 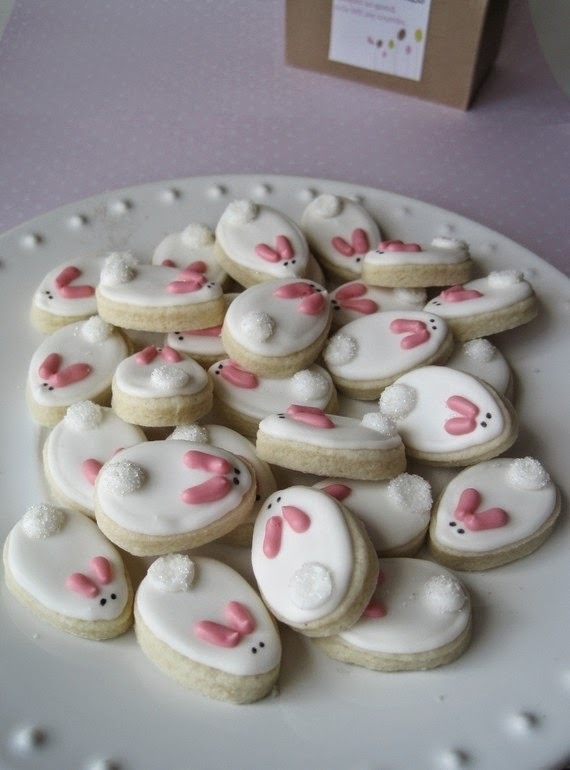 Oh so small easter bunny cookies by just crumbs. 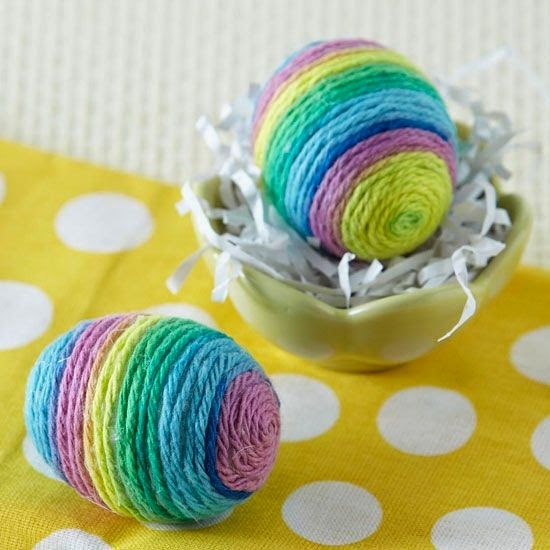 Pretty no-dye easter eggs from better homes and gardens. 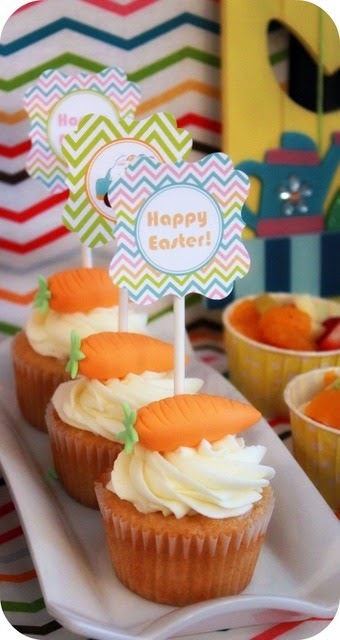 Easter carrot cupcakes from catch my party. 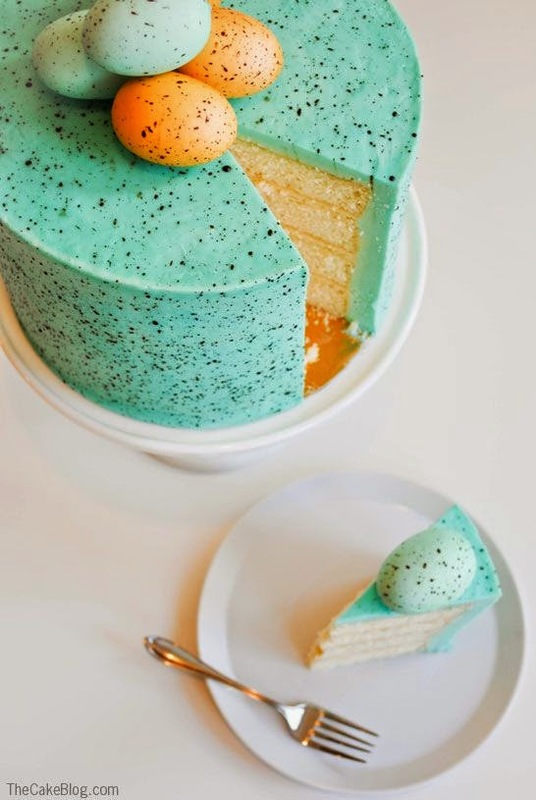 Speckled egg cake from the cake blog. 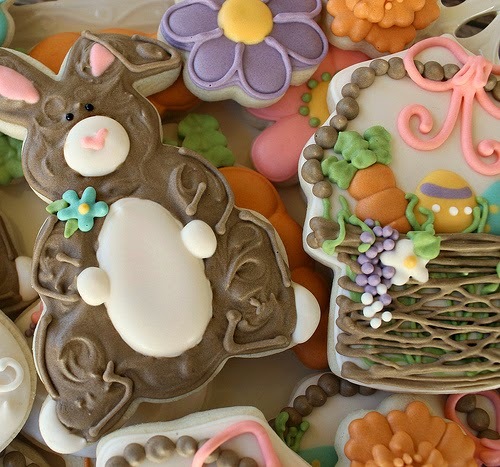 Easter bunny food by jacks & kate. Egg-cellent easter gift from lil' luna. 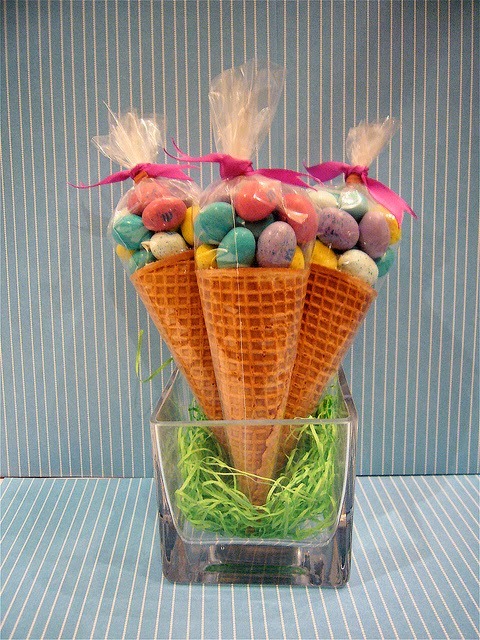 Easter m&ms in sugar cones from the sweetest baker. 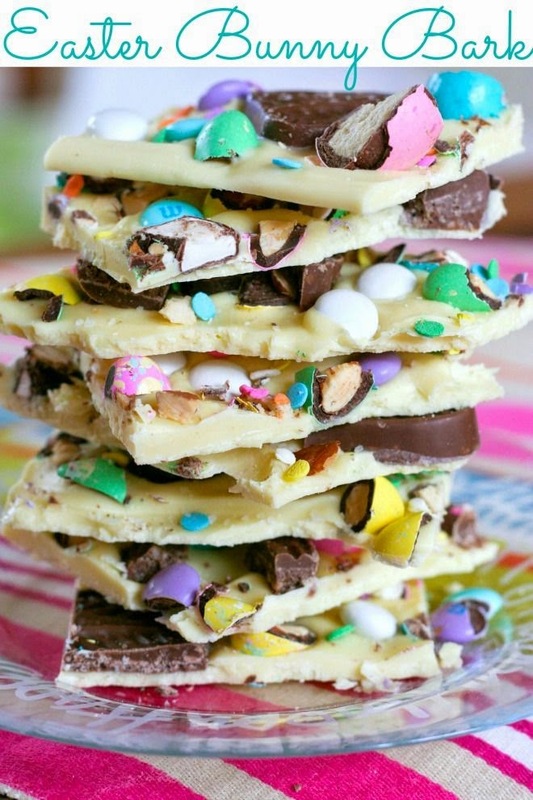 Easter bunny bark from blooming on bainbridge. 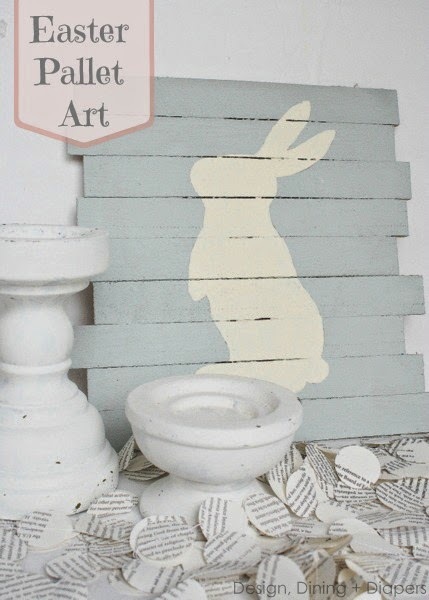 Easter pallet art bunny from design, dining diapers. 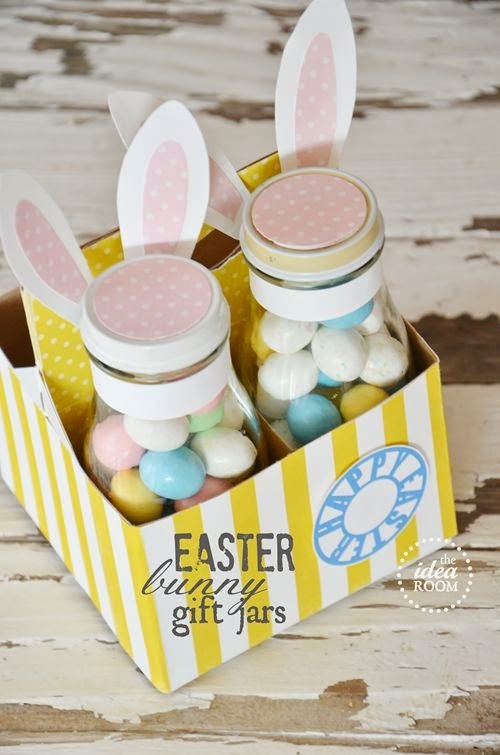 Easter bunny gift jars from the idea room. 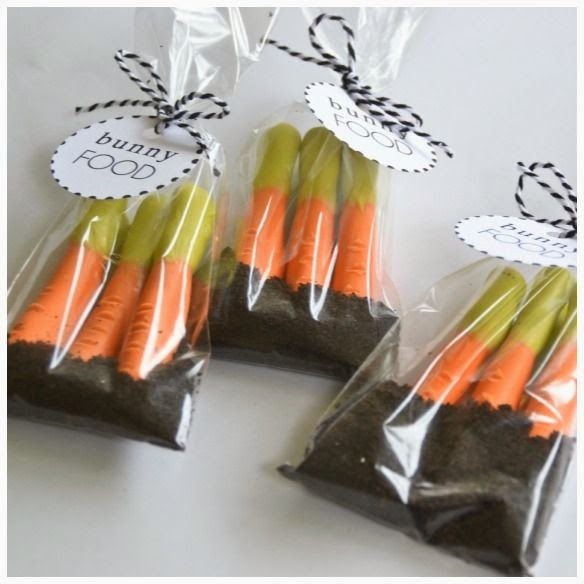 Bunny bait from bloom designs. 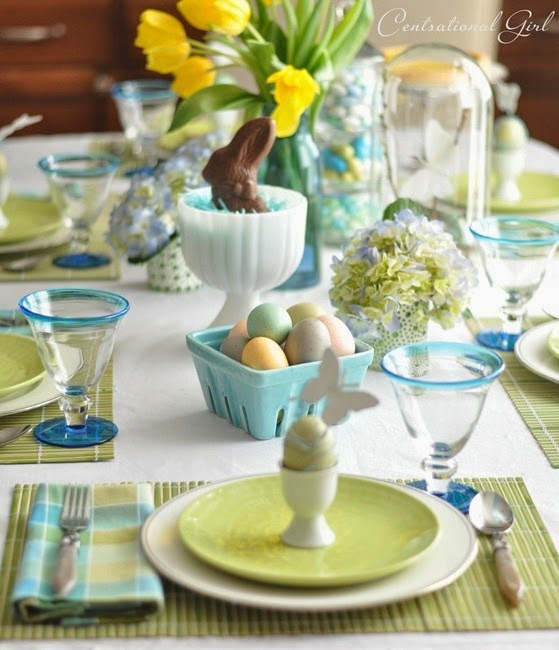 An Easter table from centsational girl. 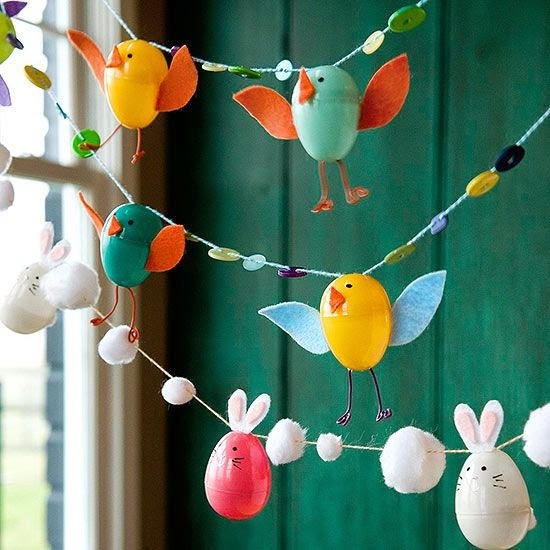 Easter egg garland craft for kids from better homes and gardens. 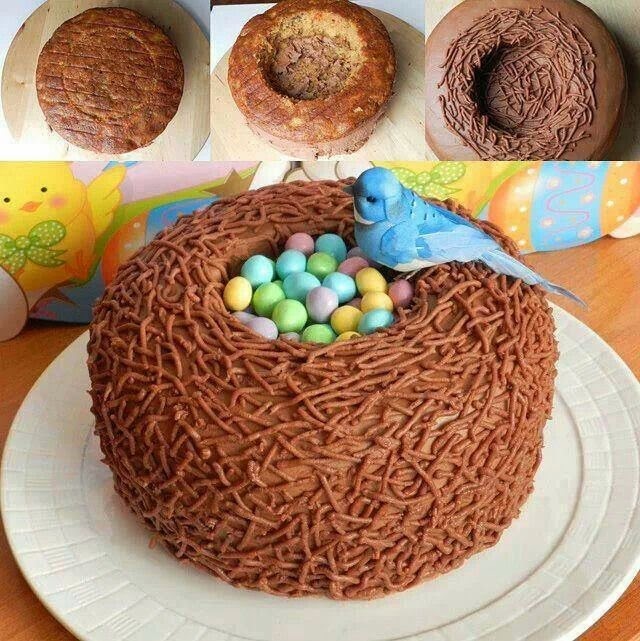 Easter egg birds nest cake on pinterest. 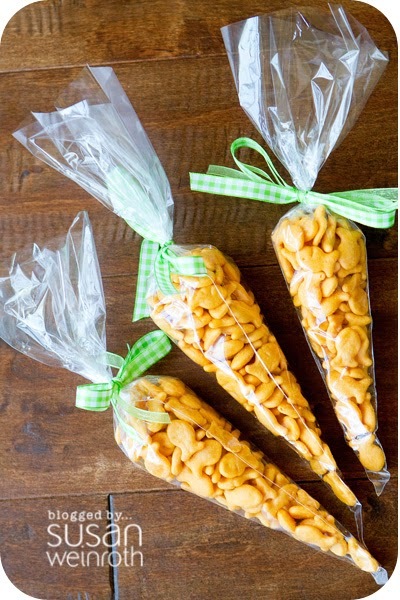 Goldfish Easter carrots from susan weinroth. 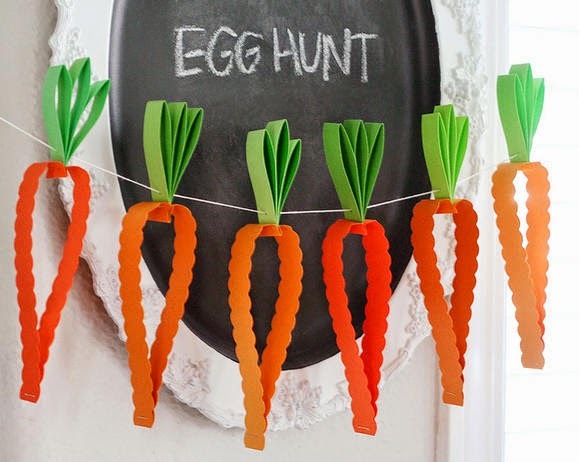 Easter paper carrot wreath from fiskars. 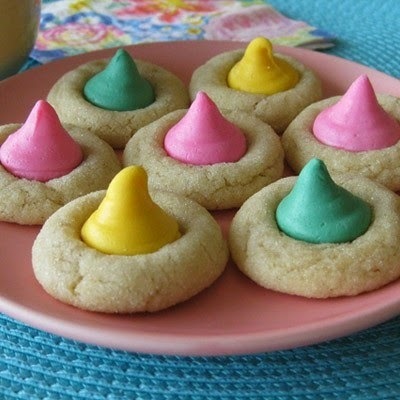 Easter sugar cookies from sweet sugar belle. Alright... I think I've got my work cut out for me. 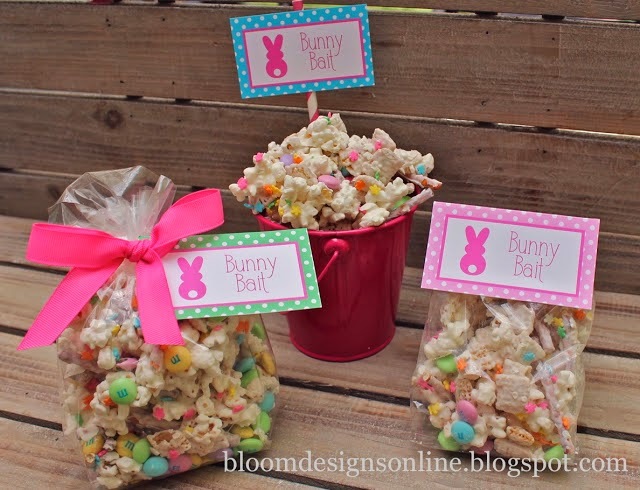 We are having Little P's Baptism on Easter so I'm actually hoping to make some of these things and share them with you... probably after Easter - who am I kidding?